Brought together by their love of paper and the mental health unit – Gabriela & Maryrose are the dynamic duo behind RED Paper Boutique. Soul-mates to their husbands chagrin these two have been an unstoppable force in the paper industry since 2008. 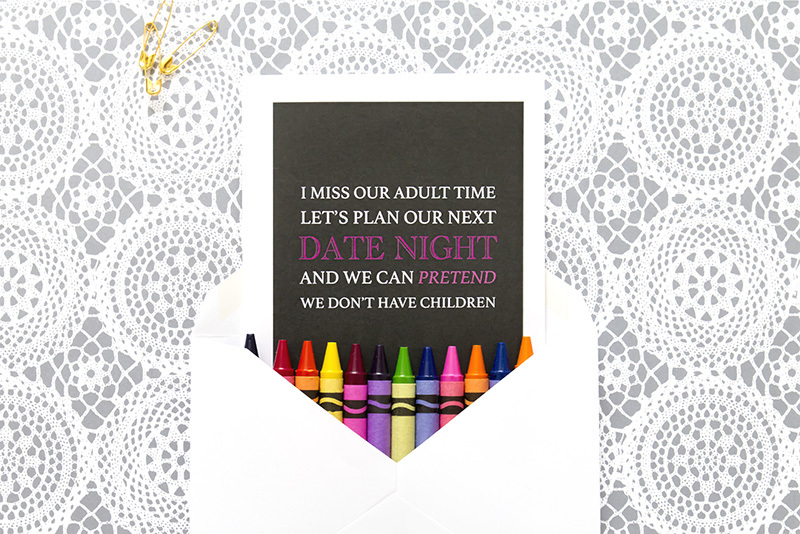 We are totally obsessed with anything stationery related (like little girls jumping up and down obsessed). We decided to do something proactive about that obsession and started creating wedding and event invitations. Over the years, this progressed into creating greeting cards. 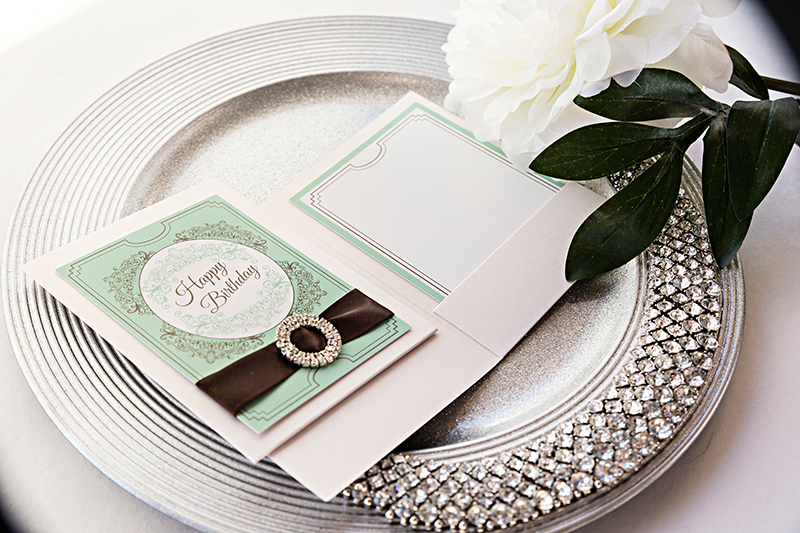 We launched our greeting cards last May in New York at the National Stationery Show. 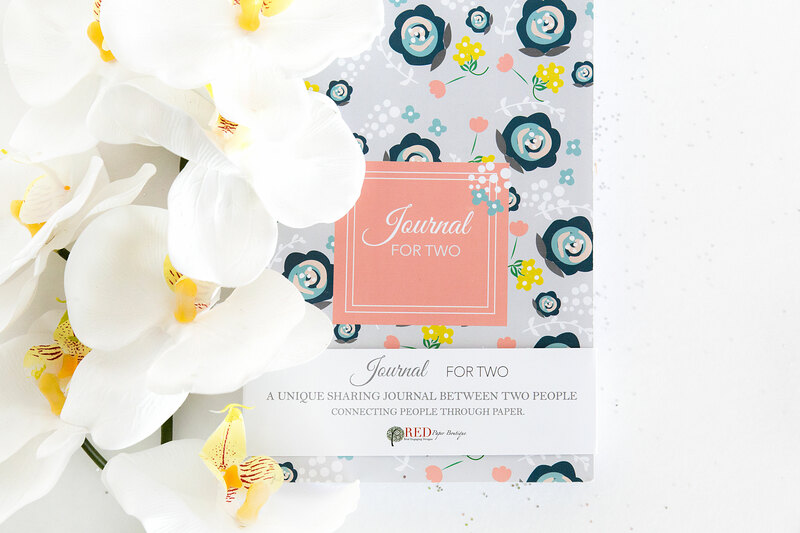 We started with wedding designs and invitations in 2008 and after getting busy with marriage and children, we switched gears to also making greeting cards in 2014. Life. Our stationery collections have definitely progressed along with the phases in our lives. After getting married, our background creating wedding invitations inspired our Pocket-design collection. Each design has a unique pocket inside with an extra matching insert. After we had babies (5 between the both of us all under 6 ½) we created our Being Parents collection, which adds some humor to surviving parenthood. 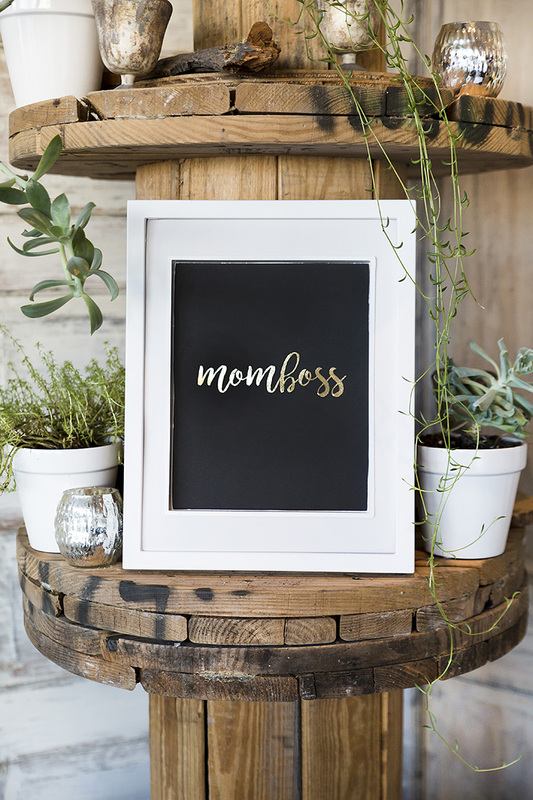 We also recently launched our Real + Witty collection (think humor and what most of us are thinking) and our brand new gold foiled MomBoss art prints which we hope validates all the amazing mompreneurs out there. We hope to continue, “connecting people through paper”. As mental health nurses, we see people in hard and difficult times. We truly appreciate the importance of being connected and part of a community. We pray that “old school” communication through letters and cards remains a part of people’s lives in this ever-present digital world. Definitely Instagram. There’s something about having a visual grab your attention and then following up with the story. It’s exciting to see how online marketing can pique someone’s interest by one single picture. 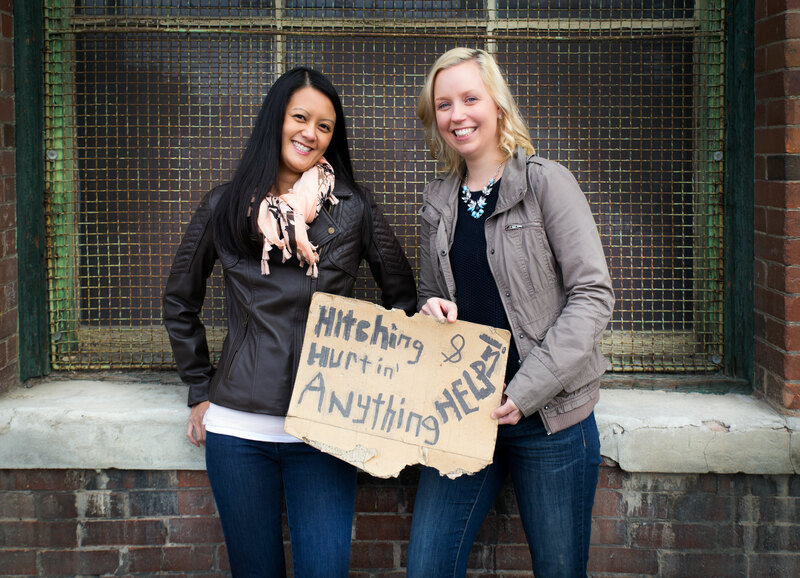 We’re super lucky to have each other as friends and business partners. And it’s an added bonus that we’re both mental health nurses and therapists. 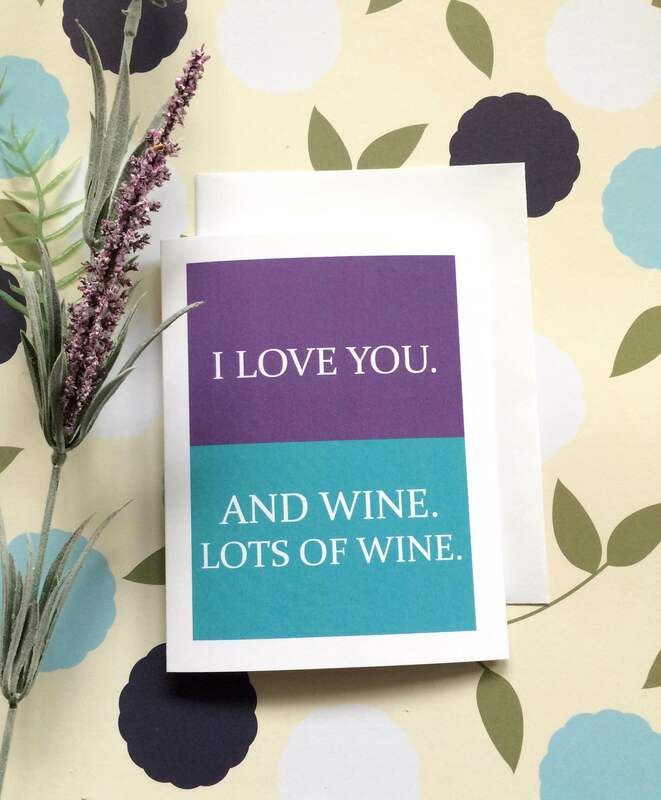 We can always rely on the other one to be there to either talk it out (or drown our sorrows in a great bottle of wine). We believe without challenges there would be no growth. As we’ve mentioned above, we are both mental health nurses. We work with clients including children all the way up to seniors. We often get asked, “How do you do it?” We believe we’re blessed to get this type of perspective in our lives. Anytime we want to complain about something, we just think about the people we work with and their struggles being about a 1000% bigger than ours. We are thankful to have our business RED as it offers us some creative therapy. Physical Duplication (definitely had to google superpowers for this one). We’d love to duplicate ourselves so we could find an easier balance between beings moms, entrepreneurs and nurses. There’s never enough time in the day! We are in some amazing local retailers including Social Page, Kala and Lime, Madison + PAGE, Esme Beauty Bar, Amborella Floral, Cococo Chocolatiers Bernard Callebaut, Cake Bake Shoppe, Ollia Macarons and Tea, Kensington Florist, Vanity Spa and Boutique, Mandala Floral, Funky Petals (Seton) and Baby and Me. We are also in Soul Paper in Saskatoon and numerous retailers in the U.S. We’ve even got our products in Mint Gift in Korea. We love connecting with new amazing retailers around the world. We also just launched an Etsy page REDPaperBoutique. We love everything that Etsy represents helping designers and artists showcase their passions.